AIATSL Result 2019: Below are the latest results published by AIATSL - AIATSL - Air India Air Transport Services Limited / portals.airindia.in. The recent result announced by the organization is Security Agent Result 2019. 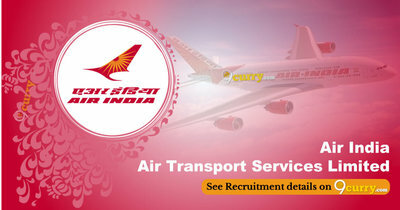 AIATSL Security Agent Result 2019: AIATSL - Air India Air Transport Services Limited has announced the Result on 05 Apr 2019 for AIATSL Security Agent Exam 2019 . AIATSL Security Agents Result 2018 (AIATSL Chennai): AIATSL - Air India Air Transport Services Limited has announced the Result on 07 Dec 2018 for AIATSL Security Agents Exam 2018 (AIATSL Chennai) . AIATSL Security Agent Result 2018: AIATSL - Air India Air Transport Services Limited has announced the Result on 02 Nov 2018 for AIATSL Security Agent Exam 2018 which was conducted on 28 Oct 2018. AIATSL Security Agents Result 2018: AIATSL - Air India Air Transport Services Limited has announced the Result on 14 Sep 2018 for the exam . AIATSL Security Agents Written Test Result 2018: AIATSL - Air India Air Transport Services Limited has announced the Result on 05 Sep 2018 for Security Agents Written Test 2018 which was conducted on 12 Aug 2018.